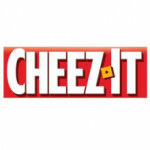 Cheez-It baked snacks are the iconic American cheese cracker! US food lovers adore them for their distinct square shape and cheddar cheesey flavor. Don't pass up these crispy crackers!